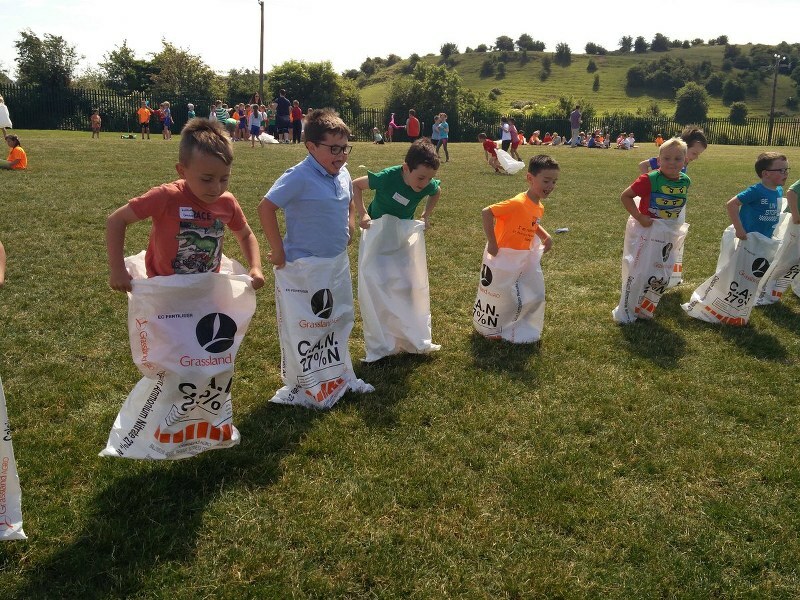 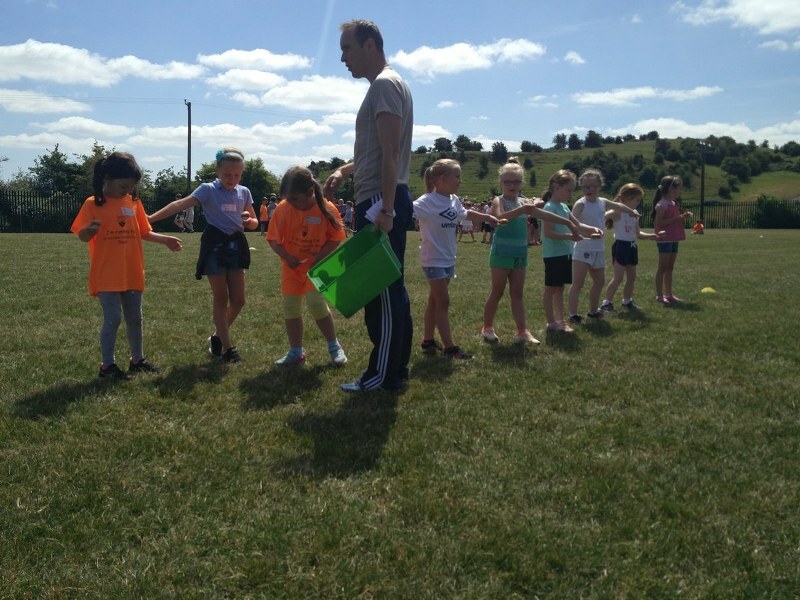 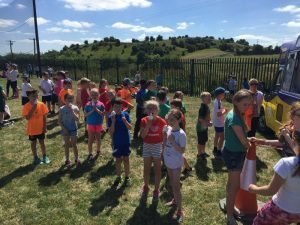 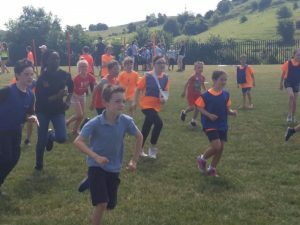 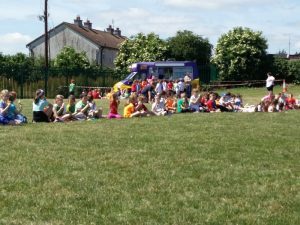 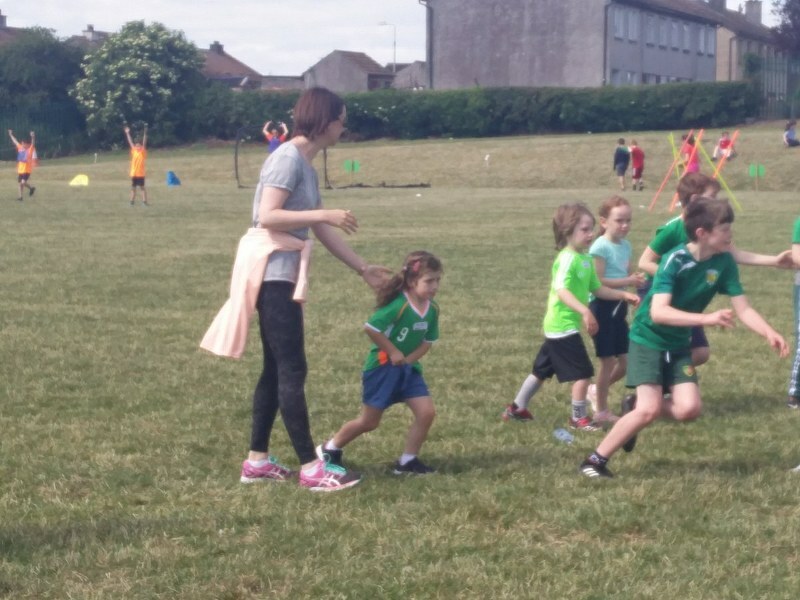 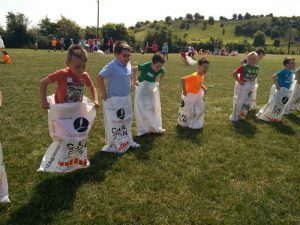 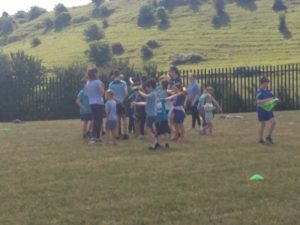 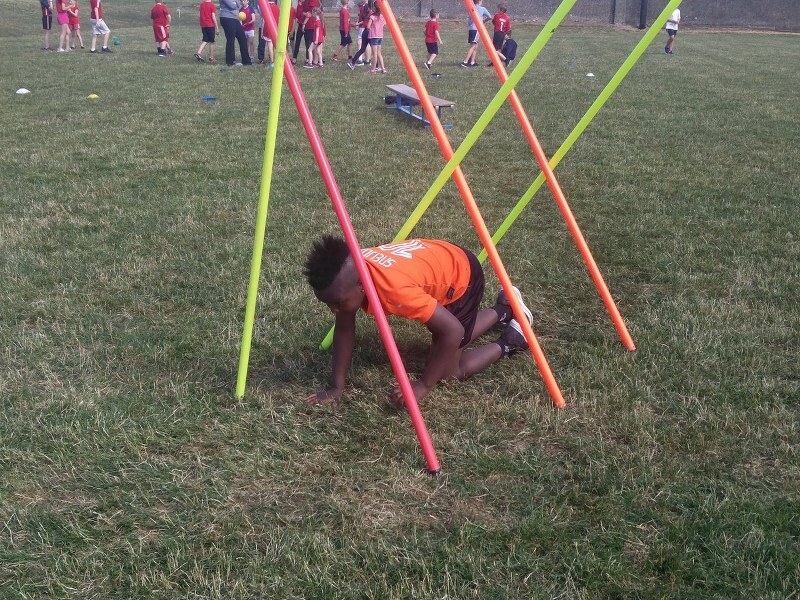 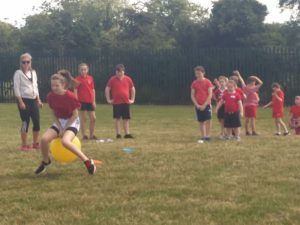 All the ingredients were present for a great Sports Day again this year with good weather, a busy Active School committee and the promise of an ice cream van and the day did not disappoint. 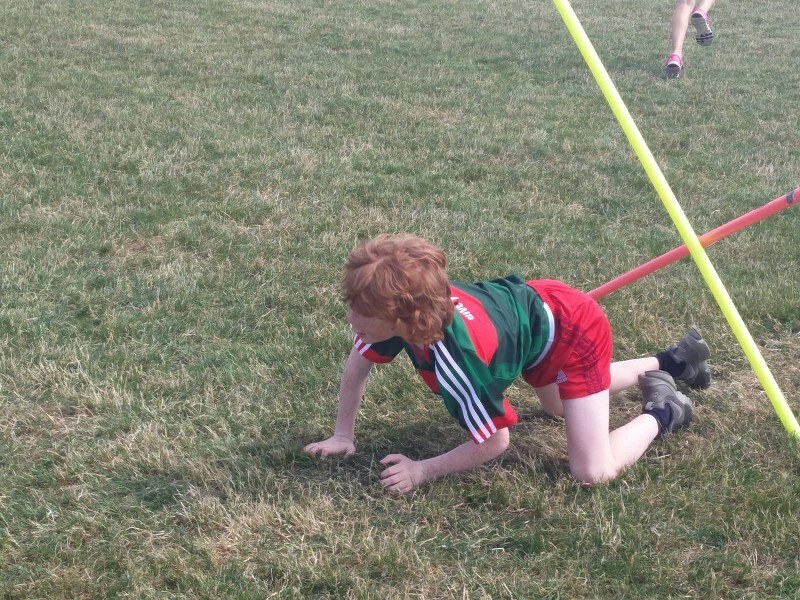 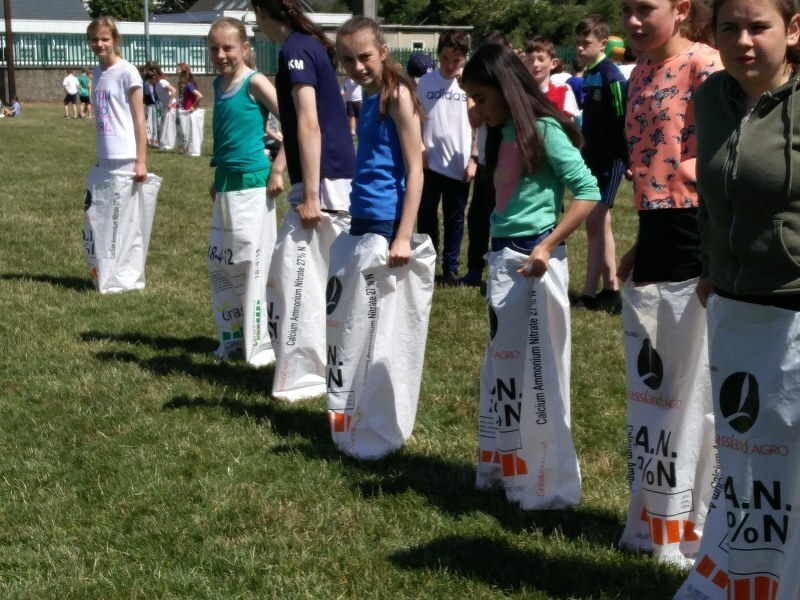 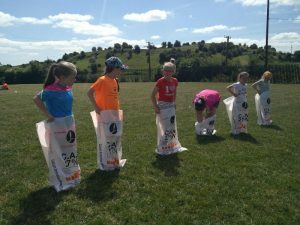 All pupils knew their team colours in advance thanks to the 6th class pupils in the Active School committee who had been planning the day for a number of weeks. 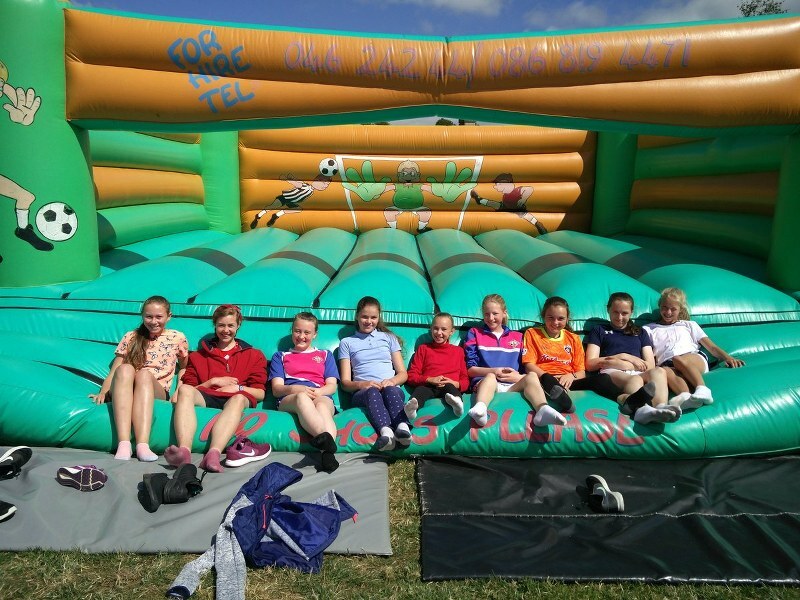 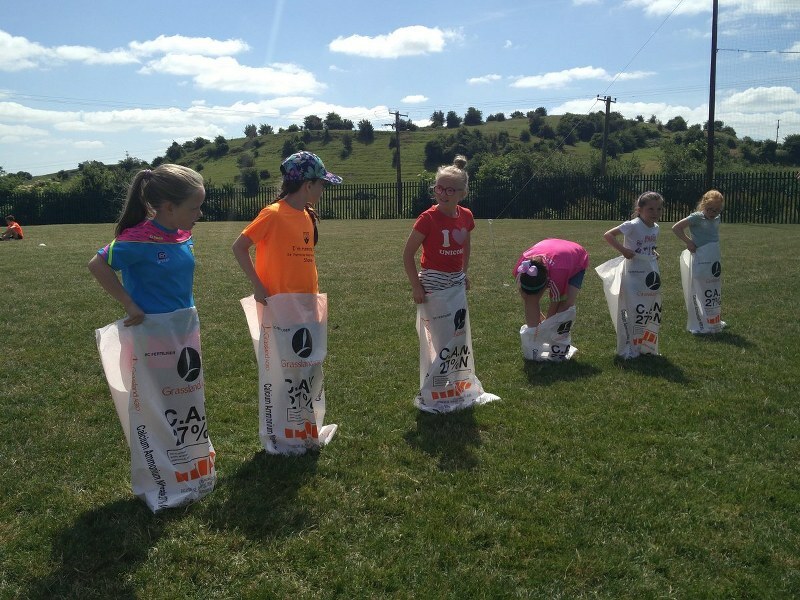 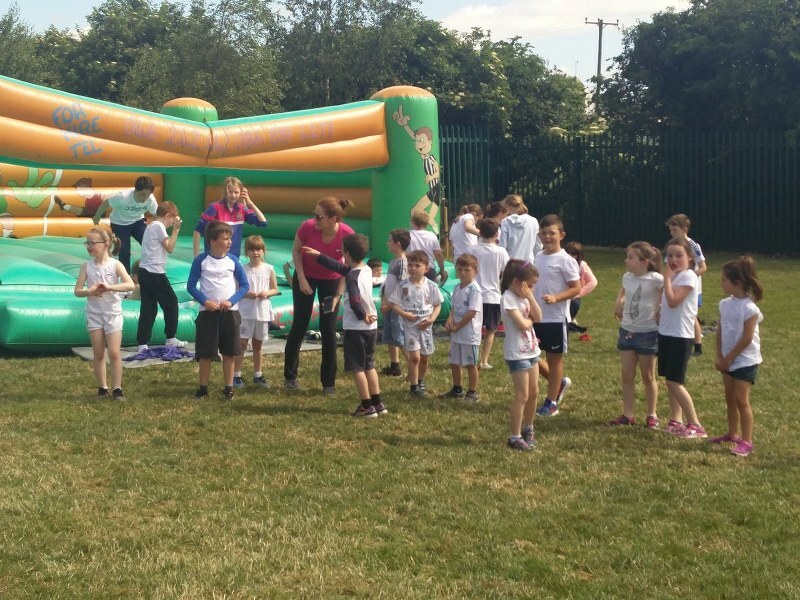 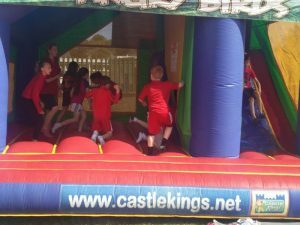 First up were the team events, with pupils of all classes in groups who took part in obstacle courses, soccer matches, dodge ball, team game Sneaky Sun and, of course, an annual favourite, the bouncy castles. Once that hour had ended, classes came inside for a break before heading back out for their class races including sprints, backwards, spud and spoon and sack races. Gates were open for spectators and many parents soaked up the sun on the bank while watching the events. 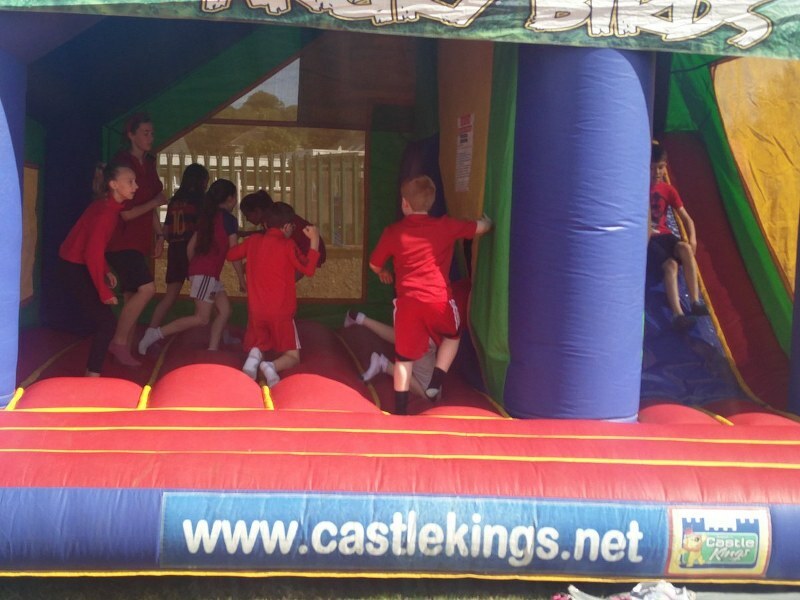 ports day turned out to be a great day in the school this year. 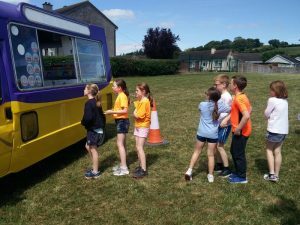 The arrival of the ice cream van was also much waited for and while the races for half the school took place, the other pupils patiently queued up for their cone. 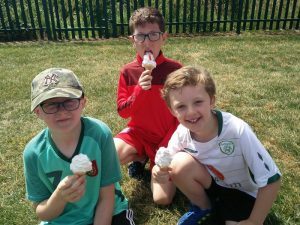 All pupils had elting ice-cream in their bellies before the lunch break courtesy of the Parent Association, to whom we are very appreciative. 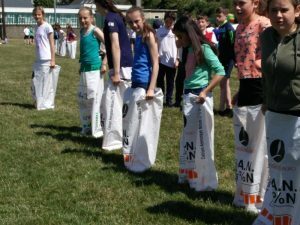 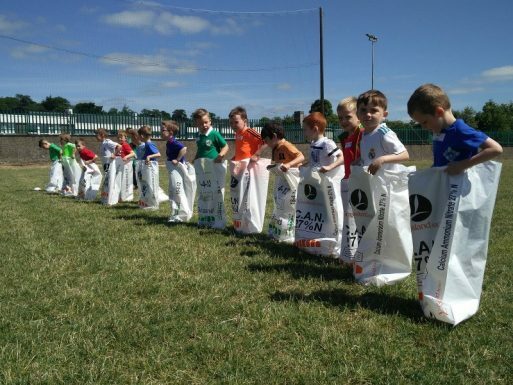 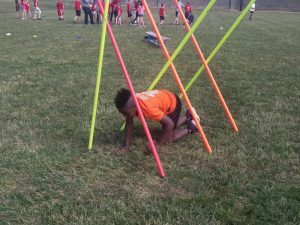 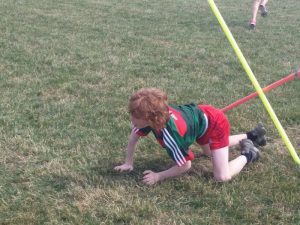 In the afternoon, there was a free play session on the grass pitch, every blade of which had been covered by the pupils that day before Drop Everything and Dance inside for the last hour. 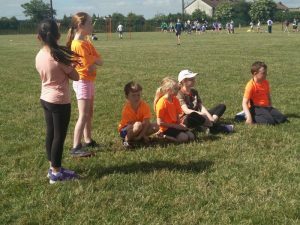 Many thanks to the Active School committee pupils who put in a huge amount of work, caretaker Davy Hoey who worked tirelessly on the day and staff for co-ordinating stations, first aid and toilet duty. 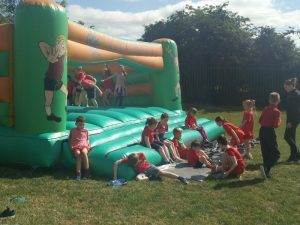 If the sun only shone like that every year!